Divinity Designs, LLC Blog: Weekend Special - FREE Shipping! 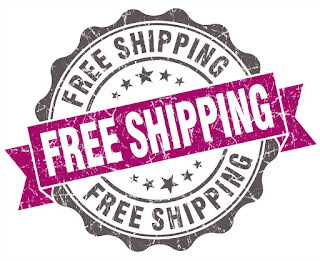 Weekend Special - FREE Shipping! To thank you for your continued support of Our Daily Bread Designs, North Coast Creations and Artistic Outpost, we are having a 3 Day FREE SHIPPING Sale on ALL US orders! Please note that our Free Shipping offer is only valid on orders placed via Our Daily Bread Designs website. NO CODE is needed, the free shipping will automatically be applied to your cart. Our Free Shipping special ends on Sunday, February 25, 2018 at 11:00 PM EST. (Limited to stock on hand, US Retail Customers only). International Customers: you will receive $6.00 off your order (in place of free shipping).